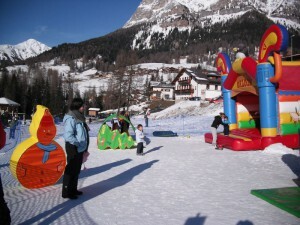 Mignolo, the winter playground area equipped with soft play, inflatables and other activities. You can find a beautiful playground area for children in Santa Fosca, downstairs, beside the car park in the main square. Mignolo is the name of the area with play and inflatables where children can have a lot of fun. During the winter special activities, karaoke, entertainment with entertainers and make-up artists are organised. 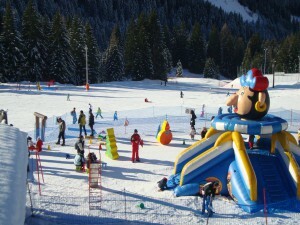 Moreover, there is a run for sledge and small bobsleighs, inflatables and snow tubbing. While children are playing, parents can relax on the wide panoramic terrace of the Baita al Sole snack bar. It offers a variety of wines, grappas, homemade cakes, sandwiches filled with various ingredients and pucce (bread made with rye flour, cumin and fennel seeds). 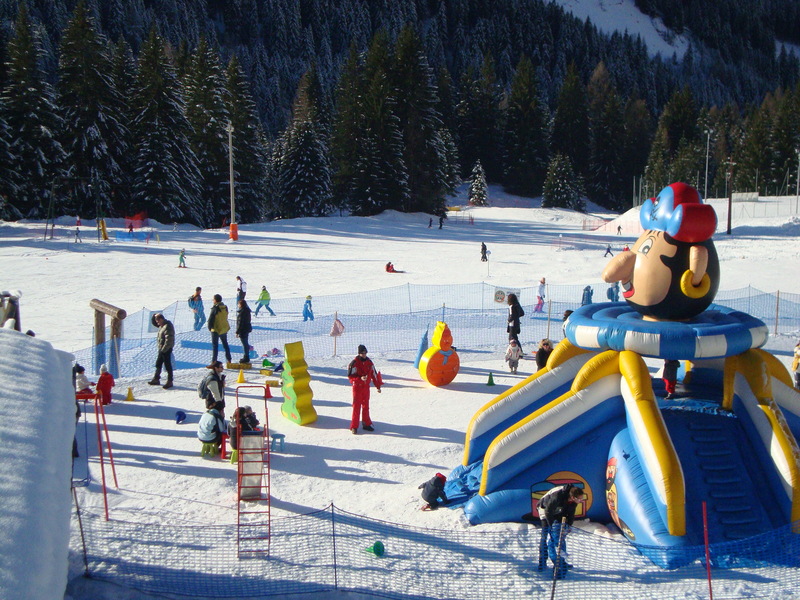 In Selva di Cadore the fun is guaranteed for everyone!